This small kiwi ceramic tile features a splendid New Zealand landscape with the native kiwi in the foreground. An excellent gift for your home! 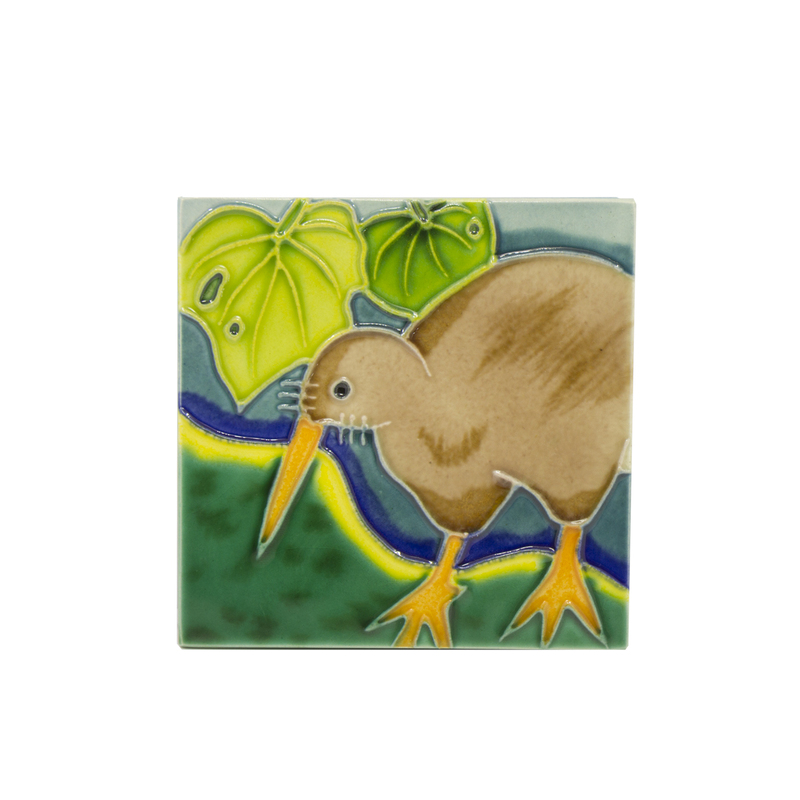 This small kiwi ceramic tile is inspired by the wonderful landscape and culture of New Zealand. This ceramic tile is one of a series designed by Janet Parr who has also handcrafted and vibrantly glazed each piece. This tile features a splendid New Zealand landscape with the native kiwi in the foreground, making this piece an excellent gift for your home. It can be displayed either as a hanging wall plaque or standalone piece. Dimensions: 11cm x 11cm. Comes boxed and a flocked back, and stand with loop for hanging.